Every few years sees the release of a new teen film dedicated to representing the quirkiness and nature of a generation. Millennials have already seen Mean Girls, Easy A and Juno represent many of our attitudes and contemporary behaviours, but there has always been a tendency toward fewer younger male voices who are less Perks of Being A Wallflower, and more 21 And Over. 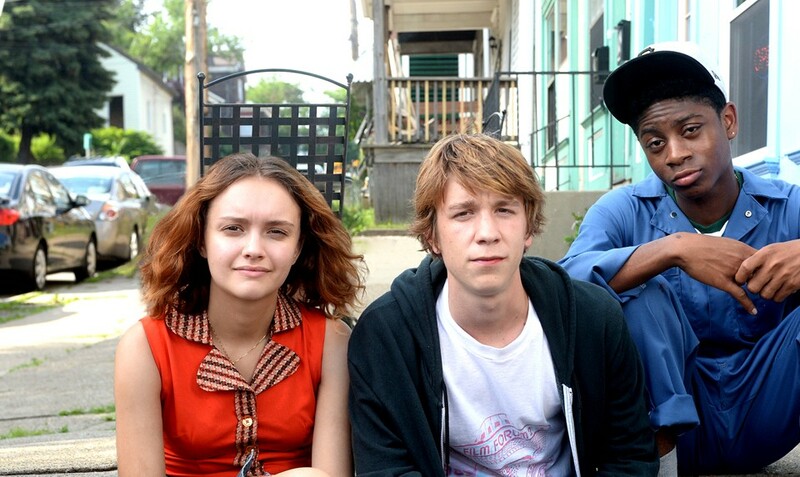 Me and Earl and the Dying Girl is one of those rare, engaging and oddball teen films that are missing within the genre. High school senior student Greg Gaines (Thomas Mann) is a normal, witty, White teen who doesn’t believe in friendship, eases in with every clique at his high school and seems entirely self sufficient in his own life. He and his “co-worker” Earl (RJ Cyler), a poorer, Black working-class student, make parodies of classic movies and hang out to watch historical videos during their lunchtime; all this despite the fact that Greg doesn’t consider Earl his friend at all. There is a change in his schedule when a girl from school, Rachel, is diagnosed with cancer and Greg’s mum (Connie Britton) pressures him to spend time with her. Rachel (Olivia Cooke) is equally as unenthusiastic about the visit – but somehow, in the attic bedroom, a genuine friendship blossoms, and we are privy to Greg’s changing attitudes as he comes to developing a strong bond with the dying girl of the film’s title. If this sounds a bit like The Fault In Our Stars to you, then you’d be right. But comparisons end there. Instead of delving into the melodrama and Judy Bloom of it all, the film is self-aware of what it is dealing with and the story is less love story and more ‘this is the teens of today’. And thankfully the teenage characters are interesting and unique. Thankfully Rachel’s sickness isn’t coddled as some cute and inspiring thing, but dealt with realistically; she loses her hair, refuses to go out and loses faith in a happy ending. And Greg acts as any other teenage in this situation would react. He isn’t the hero of this story and she isn’t the Manic Pixie Dream Girl that is meant to bring out the best in him. Instead there is a mutual lesson throughout that transcends the burgeoning love story, and says more about the nature of the human condition and how experiences can change how we thinks and act. Director Alfonso Gomez-Rejon is evidently inspired by Wes Anderson and other alternative directors, making the film a fun time through close ups, animated scenes and inventive cinematic shots. The screenplay by Jesse Andrews, who also wrote the 2012 novel the film is based on, is fantastically filled with meta-commentary, sly judgments, witty dialogue and dry narration that would make Me and Earl and The Dying Girl bland without it. Fundamentally the film rises above the countless other tiresome and brain-dead teen films that have been shown in the past. It’s narrative is well thought out and there are no wasted dialogue, characters or scenes. The inclusion of fantastic music score by Brian Eno and Nico Muhly is moving and enhances the experience. While the film succeeds as a drama, the funny moments outweigh the sadness, and it’s centered realism makes it a modern classic. Originally published on CelebrityOz, 29 August, 2015. Next Next post: Where are the bi men on TV?